This is almost the end of mango season here. 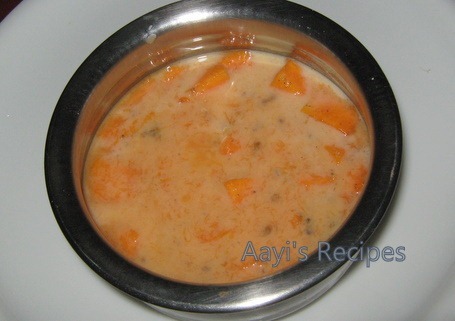 This must be one of the easiest and very popular dishes prepared with mango. It is usually made with coconut milk. At my home, we make it with normal milk. This is served during festivals in many homes. This is also prepared with bananas. This can be consumed as a sweet dish on its own or as a side dish with chapati. Add sugar to milk (or coconut milk) and mix well. 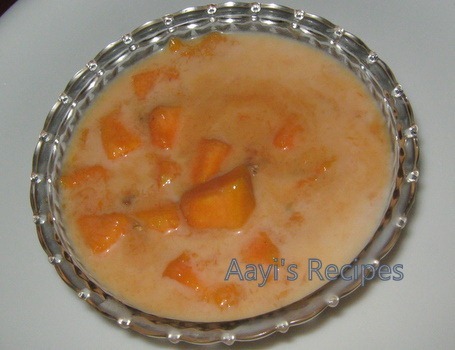 Squish about 1/4 cup mango pieces with fingers to make a paste and then add the paste to sweetened milk. 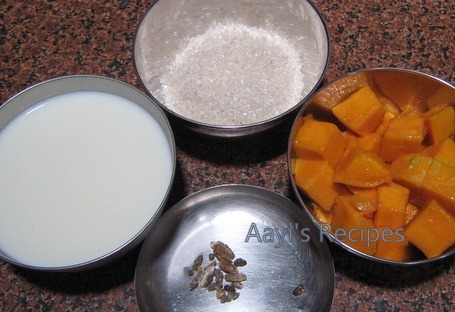 Add remaining pieces of mangoes. Add cardamom powder. Serve as a sweet dish or as a side with chapatis. I always love this varada aunty, since my mom is from bangalore, she makes this often, feeling nostalgic, th emangoes are from ur garden? Yes Nirupama. We will surely post pics of mango tree, haven’t forgotten that. Yummy! Why are mangoes over here? would have loved to try this out. I love mango shikran..but never tried it with coconut milk. That would be a very different and rich combination. Interesting use of my favorite fruit. can I mix both coconut milk and milk as well instead of using either of these..